Home Editorial African Renaissance Or Pan-Africanism? 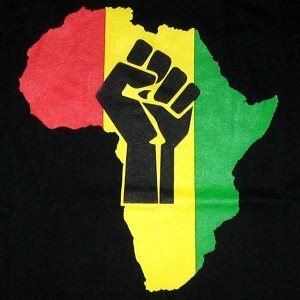 AFRICANGLOBE – The meaning of the term “African Renaissance” now running parallel with Pan-Africanism in the corridors of the African Union must be clarified. It is confusing to people who are rooted in the history of Africa before Africa’s tragic encounter with European slave trade inAfrican people and the plunder of African countries by Europeans following their Berlin Act of 26 February 1885. Lest we forget, the “European Renaissance” brought slavery, colonialism and racism to Africa. Pan-Africanism challenged the effects of the “European Renaissance” formally from 1900. The wars of national resistance against colonialism in various parts of Africa were of course long fought in countries such as Azania (South Africa as early as 1510). From the very beginning Pan Africanists spoke of liberating Africa and restoring this continent to its colonially lost power and glory. Pixley ka Isaka Seme spoke of “African Regeneration.” He was right and wise in not using the term “African Renaissance” which would look like an African colonial imitation of a “renaissance” that took place in Europe. Africa was advanced long before she was invaded by Europe. Europeans took advantage of the superiority of the gun over the African spear in war. Before all this, fascinated by the greatness of Africa, in admiration of this continent, that famous Emperor of the Roman Empire Julius Caesar proclaimed to the world, “Ex Africa Semper Aliquid Novi!” (Out of Africa comes always something new). This is not surprising when it is remembered that not long ago, Europeans adored “the Black Madonna” — the holy family of Jesus Christ and his mother Mary. When the African Union talks of Pan Africanism and African Renaissance, which “African Renaissance” are they talking about? The first renaissance on this planet was African. If the present African Renaissance the AU is talking about is merely to mimic the racist “European Renaissance,” then the Pan African objective of total liberation of Africa will not be achieved. Which “African Renaissance” is the AU talking about, the one that is just a mimicry of the “European Renaissance”? If it is the latter, this would be merely pandering to the arrogance of the agents of cultural imperialism. The earlier notion of Africa’s restoration was expressed in a Zulu/Xhosa slogan “Mayibuye iAfrika!” Many Africans were aware that Africa had been taken away from them by Europeans through the Berlin Conference of 1884-1885. From then on everything African was colonised and expropriated by the Europeans for themselves. “Mayibuye iAfrika” means Africa must return to its rightful owners with all its resources and its colonised African epistemology. To this notion of African restoration, Prof Robert Mangaliso Sobukwe’s Pan Africanist Congress added, “Izwe Lethu! iAfrika! (Afrika [and all its riches] is our land! It is estimated that from the 15th century the slave trade practised by Europe, America and others pilfered from Africa over US$370 trillion. This excludes the colonial damage to Africa which is going on even now. Yet, Africa is harassed for “foreign debts” by former practitioners of trade in human beings and thieves of other people’s countries and their riches. Africa was never inferior to Europe until European terrorist militarism imposed slavery and colonialism on Africa. “It is here in Africa that history began. Far from being a gratuitous assertion, this statement is an undeniable scientific fact for which one finds corroboration when one roves the world in search of the remains of the ancient civilisations.